Their collaboration lasted 25 years. But more than romance, what defines the Hepburn/Tracy spirit is a progressive take on gender politics. Midcentury rom-coms might not be the first place you’d expect to find early rumblings of feminist thought and attacks on toxic masculinity, but Hepburn and Tracy aren’t your average team. In almost all of their shared films, both of their characters are employed — often as professional adversaries — and each story pivots on the couple’s clever sparring, both in business and in pleasure. Over their 25-year partnership, Hepburn and Tracy’s perennial battle of the sexes played out across courtrooms and newsrooms, sports arenas and political arenas, a science lab, a TV network, and even the American frontier. But across their wide array of occupations, Hepburn and Tracy’s characters always share a sense of ambition and competition — one that inevitably injects their domestic life with a dose of devious, indecorous fun. Available to stream now on FilmStruck, here are a few Hepburn/Tracy classics that helped install the trailblazing duo in the Hollywood (and gender equity) halls of fame. When Hepburn and Tracy met for the first time to begin shooting George Stevens’ “Woman of the Year,” Hepburn recalls telling her new counterpart, “I’m afraid I’m a bit tall for you, Mr. Tracy.” A producer standing by replied, “Don’t worry, Kate, he’ll cut you down to size.” It’s an apt anecdote: from there on in, struggles to surpass and upstage one another were a driving force in the couple’s singular dynamic. “Woman of the Year” finds the young pair playing writers who work at the same newspaper: Tess (Hepburn) is an erudite foreign affairs columnist, and Sam (Tracy), an amiable sports reporter. But when their rivalry gives way to romance, Tess’ demanding work schedule begins to get in the way. Differences in class, education, and gender also threaten to strain the courtship, and much of the comedy derives from Sam scrambling to keep pace with Tess’ scholarly milieu while Tess struggles to understand all of Sam’s fuss about sports. The film is an exuberant, endearing triumph, setting a standard for wit and energy that defined Hepburn and Tracy’s partnership for a quarter of a century to come. 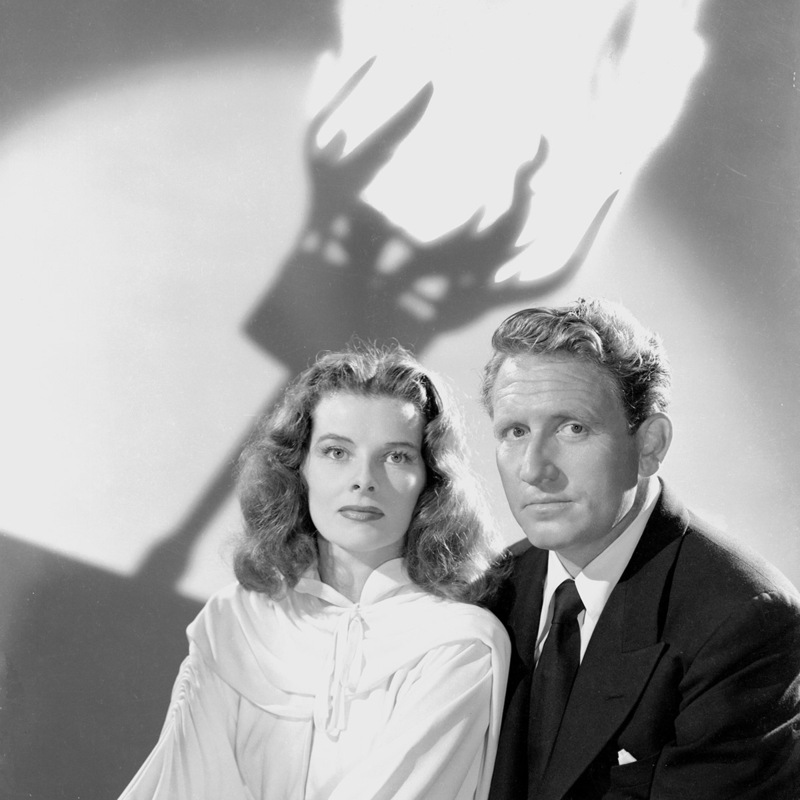 George Cukor directed three out of the nine films Hepburn and Tracy starred in together, starting with the left-leaning political mystery “Keeper of the Flame.” Adapted from a novel of the same name, the film follows a journalist, played by Tracy, who seeks to uncover the truth around the mysterious death of a political hero. Hepburn costars as the deceased man’s widow, whom Tracy’s character goads into revealing her late husband’s secrets. 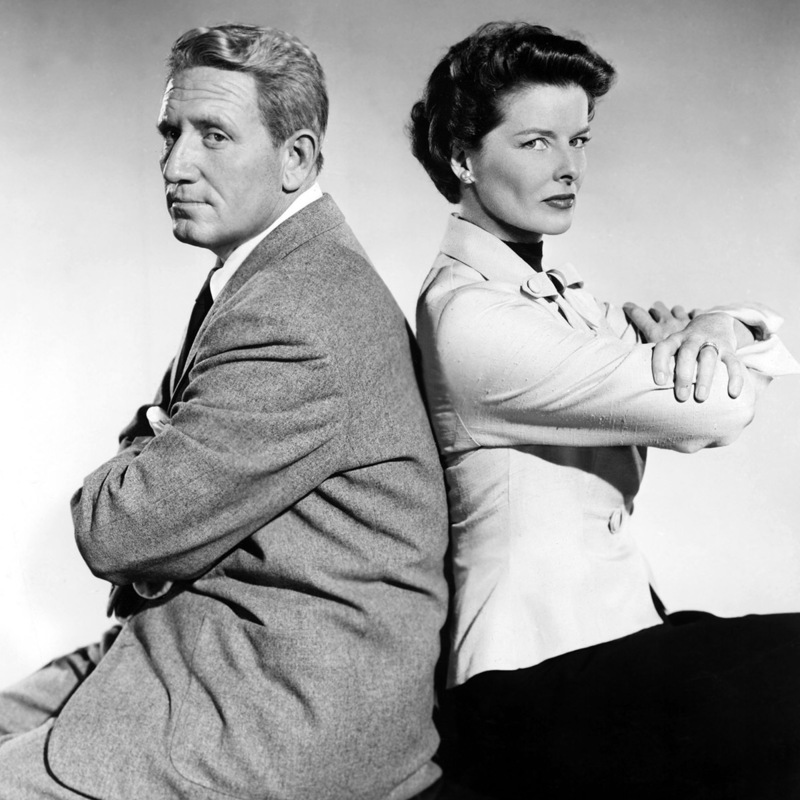 While “Keeper” isn’t the most celebrated of Hepburn and Tracy’s collaborations, the film does represent the most overtly political story they share. Upon release, the film’s liberal bent stirred political controversy, inciting Republican Congressmen to demand that the Motion Picture Production Code enact restrictions on cinematic propaganda. Critical reception at the time of release was mixed, with Hedda Hopper calling the story, “‘Citizen Kane’ with all the art scraped off.” Cukor himself later distanced himself from the film, declaring, “I don’t think I really believed in the story. It was pure hokeypokey, and [Hepburn’s] part was phony, highfalutin.” Even so, watching the couple embroiled in a drama that’s less romp and more mystery is a worthy treat for any Hepburn/Tracy fans. Despite Cukor’s rocky start with the couple, Hepburn and Tracy are in top form in Cukor’s sophomore collaboration, the 1949 courtroom comedy “Adam’s Rib.” When a woman goes to trial for the attempted murder of her cheating husband, two married lawyers take on opposing sides of the case: Adam (Tracy) as the prosecution and Amanda (Hepburn) as the woman’s ardent defense. “You sound cute when you get cause-y,” Adam coos on the phone to Amanda when she tries to make a point about the double standard between men and women who commit adultery. In a different movie, Adam’s wife might giggle, shrug, make a cute response; but Amanda isn’t just any wife. She slams down the phone in anger, asking her assistant, “Did you ever hear about the straw that broke the camel’s back? Well, it just happened again…The last straw on a female camel.” Amanda takes the driver’s seat in this story, both literally and figuratively, and she has all the makings of a feminist icon. Cukor remained in the director’s chair for Hepburn and Tracy’s next film, which follows athletic sensation Pat (Hepburn) and the tough sports manager Mike (Tracy) who offers to train her. Screenwriters Garson Kanin and Ruth Gordon were friends of Hepburn and Tracy, and the script was apparently inspired by their knowledge of Hepburn’s real life athletic prowess. Impressively, Hepburn, then 45, performed all of Pat’s golf and tennis feats herself, stealing the show with her athletic and comic agility. But despite her talent, Pat has an Achilles heel: she can only perform when her controlling fiance isn’t around. It’s a symbolic premise, meant to demonstrate just how much female strength can be unleashed once women are relieved of overbearing men. Sports fields and courts may seem a far cry from the cultured, career-driven worlds Hepburn’s characters usually inhabit, but it’s a welcome departure. Whether in a suit, dress, or tennis shorts, Hepburn knows how to wear the pants in the relationship.